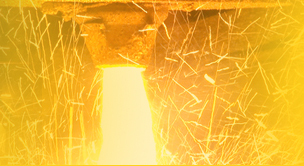 Industrialmetalcastings.com endeavors to inform, enlighten and enhance all players in the metal casting industry working as manufacturers, suppliers, exporters, and the like of metals, castings, foundry machines, etc. Detailed information on every aspect from the pre-historic times to the sophisticated metals and machining of modern day are being provided in this website for people to read and thus profit from this information. Light has also been shed on the future of the industry. From the pre-Biblical to the modern era, applications of the metal casting is only increasing rampantly. Industrialmetalcastings.com is an informative website which deals with every aspect of the metal casting process so that one is confident about the product(s) that is being dealt in. In today's globalised world, business deals comes from the farthest and the nearest corners of the globe. 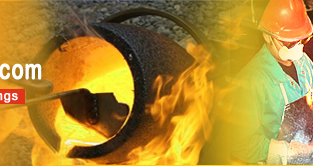 Industrialmetalcastings.com serves as a facilitator for those aspiring to buy, sell, import, export, or partner with like-minded partners world-over with the exhaustive information we have provided on this industry. We have provided all the necessary information on the formation of the metal casting industry from the ancient times to forecasts and trends of the industry.